The Bob is most definitely the cut of the year, long hair devotees like Rosie Huntington Whiteley, Sienna Miller, Felicity Jones and Jourdan Dunn all adopted shorter tresses this year.The Bob has become indicative of women in their prime, high achievers showcasing a confident, bolder side to their personalities. Adding some subtle colour enhances shape and adds definition to your cut. 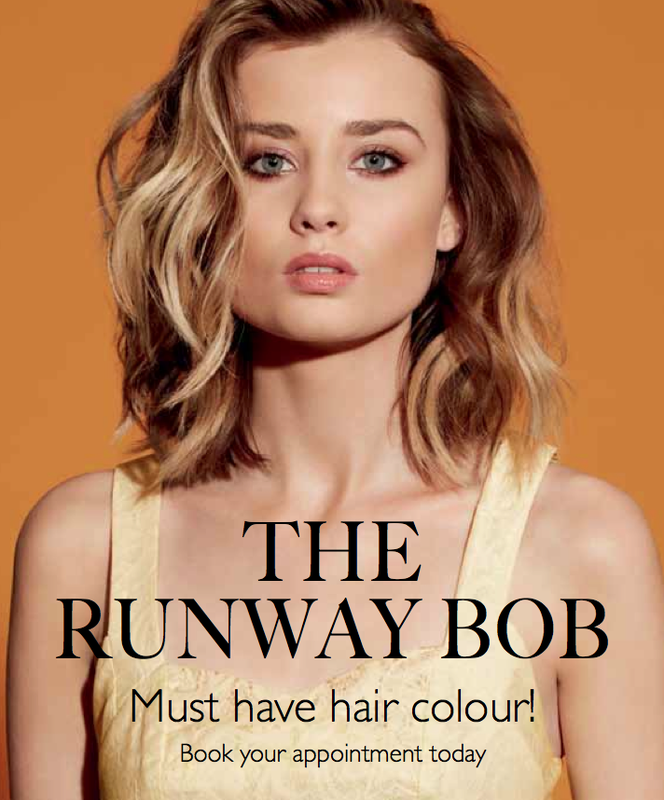 Fundamentally The Runway Bob is personalised to you, our expert colourists will place colour two shades lighter and darker than your natural to enhance the texture and movement throughout your hair contouring and framing your face similar to using a bronzer and highlighter. 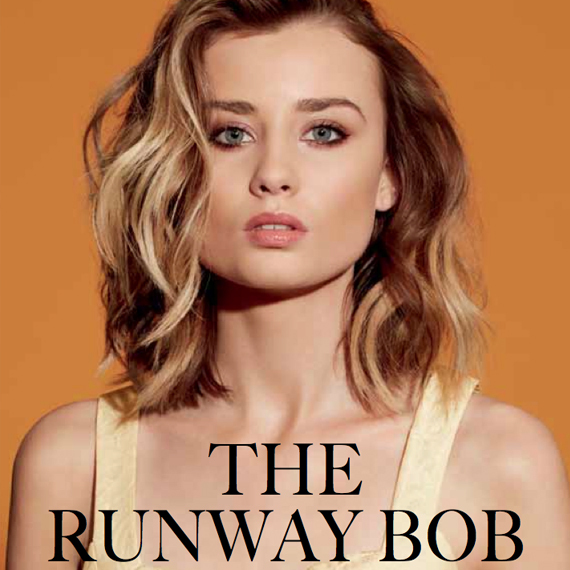 Ideal for those who like to wear their BOB, POB or LOBS tousled, wavy and textured, the placement of The Runway Bob helps to plump and draw attention to the wave rather than divide and break it up like highlights would.The Runway Bob concentrates on enhancing volume at the ends rather than on the roots which can make the hair look round. Our expert colourists will use a new technique Prisme, which focuses on taking triangular panels (rather than highlights) and place either the lighter or darker hues around the face and ends of the hair to create shadows (which will enhance cheekbones and the jaw-line). These triangular sections are still subtle but help to draw attention to the movement of the cut. View the complete service here.